Summer happened early this year, really early. 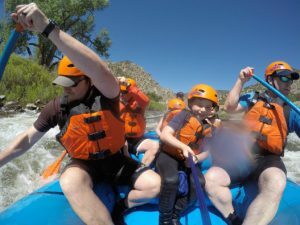 In fact, we had to move up our deadline for this article due to all the anxious families wanting to adventure throughout Colorado. I have included my top eight choices for the summer 2018 family vacation and travel guide. 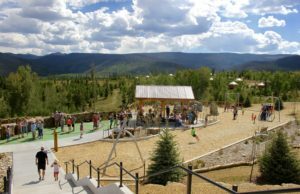 Next week we will publish the extensive list of Colorado Family Travel with more than 20 Colorado towns including resorts, national parks and mountain marvels. We love that you make this the #1 read story each year. Thanks and happy journeys, Mamas. My number one destination is going to take you furthest in your travels, and as the saying goes, the wait is certainly worth it. Canyon of the Ancient Guest Ranch is located in the Southwest corner of the State, Cortez, best known as the lodging choice for many visitors to Mesa Verde National Park. This spot can be easily missed and is certainly not on the typical journey of most families. Make the detour, and visit Ming and Garry Adams, owners of this extremely rare ranch. 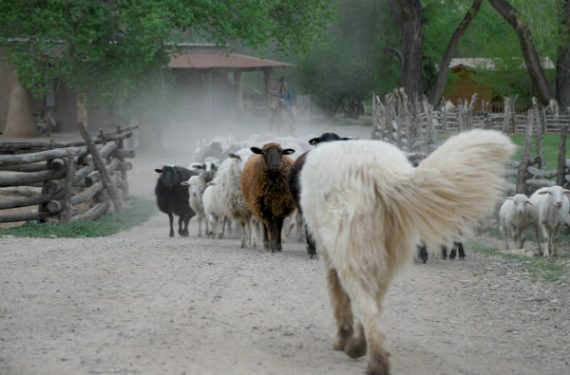 The nearly 2,000-acre spread has a roaming herd of 200 Navajo Churro sheep, 70-head of cow and a menagerie of working dogs, chickens, pet sheep and other critters. There are five guest houses to rent and they are the closest thing to Southwest luxury I can describe including stunning historical Southwest Cowboy and Indian décor matching the authenticity of the ranch, fully-equipped kitchens (you can even request fresh eggs, lamb meat, etc. 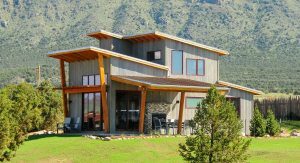 from Ming), patios, swinging benches, stunning views of McElmo Canyon, pastures galore, and endless discoveries to be made by children, big and small. This was the number one question I got asked this year from my friends, “What is the best spot within three hours driving of Denver where we can get a yurt or awesome cabin?” Mamas, I got you covered, literally, with tarp, canvas and wood! Here are some of my favorite family yurts and cabins for a mini vacation. Amber and I do not play favorites, however, we both feel something very special for Crested Butte. It’s a little further of a drive for Front Range families to this secluded spot. Aspen, Vail Valley, Winter Park, Steamboat Springs—these are all closer to the larger population centers. 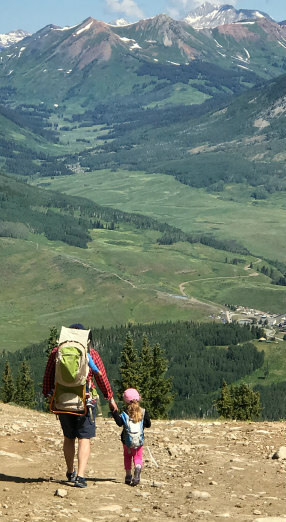 That’s the beauty, solitude and remoteness of Crested Butte. But, unlike some places, it’s accessible for a weekend. If it were up to Amber and I, you would need a week there to truly soak in the vibe. Here’s what not to miss this summer. As with Denver, I am completely in awe of the transformation of this city. Its expansion is on par with the rest of the Front Range! 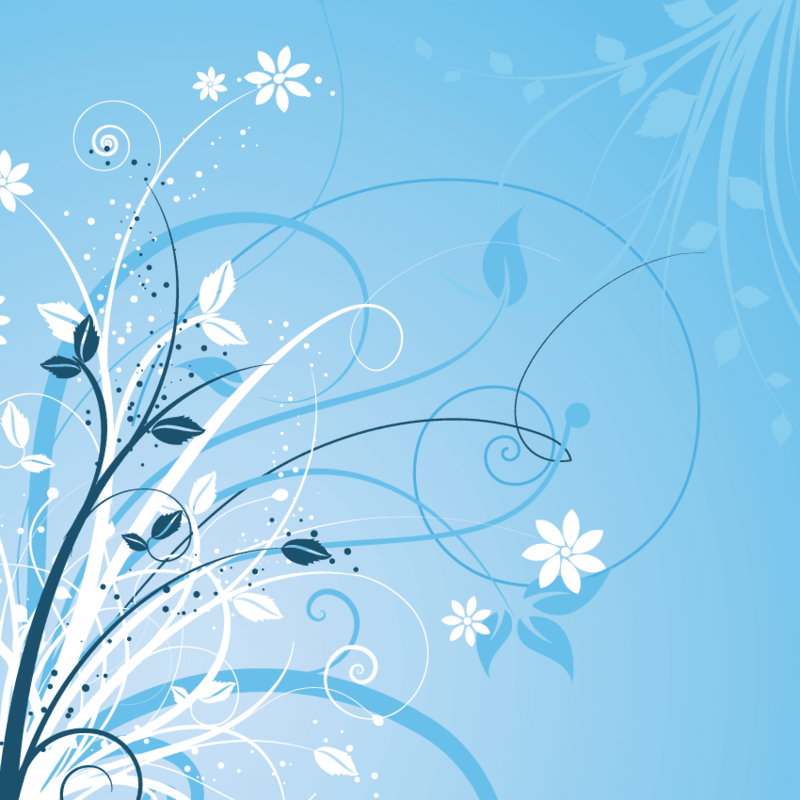 And, there are definitely some spectacular things to check out. 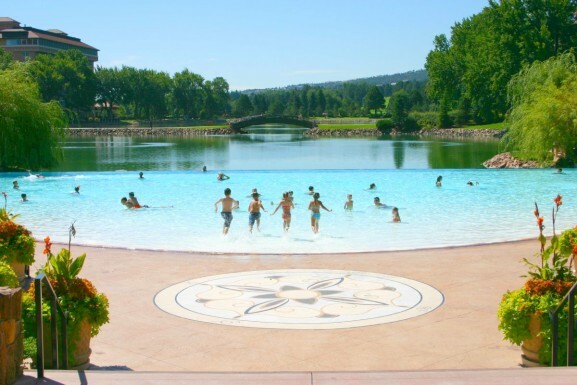 First, it’s our beloved Broadmoor’s 100th anniversary this June. Both Amber and I are very loving of its expansion into Wilderness Camps and its continued objective of family-oriented vacations. The pool (featured image) is one of the best in the State, and the views and historical ambiance, one of the best in the Nation. Brews, babies, and Backgammon. 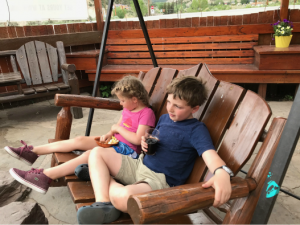 Grab your hacky sack, tween or toddler and growler—Colorado’s patios offer family fun at breweries and some tasty eats. Colorado is hyper focused on beer culture so it made sense to make it a destination. We have over 400 licensed breweries and that number is steadily growing. Along with an uber beer-centric culture, we are also wrapped up in raising hipster children in this quintessential craft beer movement. And with this notion, I introduce you to some of the greatest family-friendly breweries … and trust me… I’ve drank the local hops and chased three children around the Centennial State’s modern day gold mines. Steamboat Springs: Mountain Tap Brewery = spacious patio, owners encourage family gatherings; bring your growler for sure! It’s the 50th anniversary for this organization that tirelessly fights for our families continued enjoyment on treasured waterways throughout the Western United States. Currently in Colorado, we have one designated waterway— Cache La Poudre River. On October 30, 1986, Poudre Lake downstream to where the river intersects the easterly north-south line of the west was designated. Remarkably, Colorado only has approximately 107,403 miles of river, of which 76 miles or one river are designated as wild & scenic which is less than 1/10th of 1% of the state’s river miles according to rivers.gov. By showing are continued participation, appreciation and responsibility to these rivers, use them with care and caution so they will be here for the future generations. Oars.com offers incredible journeys throughout the Western States on these protected rivers! Paddles up and support our Cache La Poudre.